What about walking through a dense populated city on the East Coast (US), when you see a procession of people yelling and screaming at a man carrying a large, long piece of wood? Or, you’re taking a pleasant trip to the UK (let’s say London) and you spot a group of individuals bowing their heads to the ground, all facing the same direction, and they do this for several minutes? The truth is, you might know the rituals of the second two, as they are more commonly known. What do these situations mean for those not participating in them though? How should we react to them, if at all? The first ritual is a Heathen one, called Sumble (Symbel). Sumble is an ancient rite that is actually well known to those who are familiar with Beowulf. 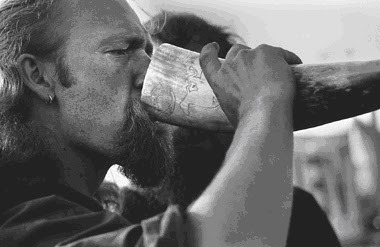 Sumble includes the ritual passing of a drinking horn, with the idea that those who participate in the rite are making a deep commitment to each other, effectively they are deepening friendship and evoking connections to the gods and all others that have participated in Sumble in the past. It’s often emotional, because honoring one’s family who have passed died is often an essential part of Sumble. How would you know this? Would you be scared of a group of (often) tattooed and long-haired/bearded people standing in a public space yelling hail? I might be… and I’m a Heathen myself! 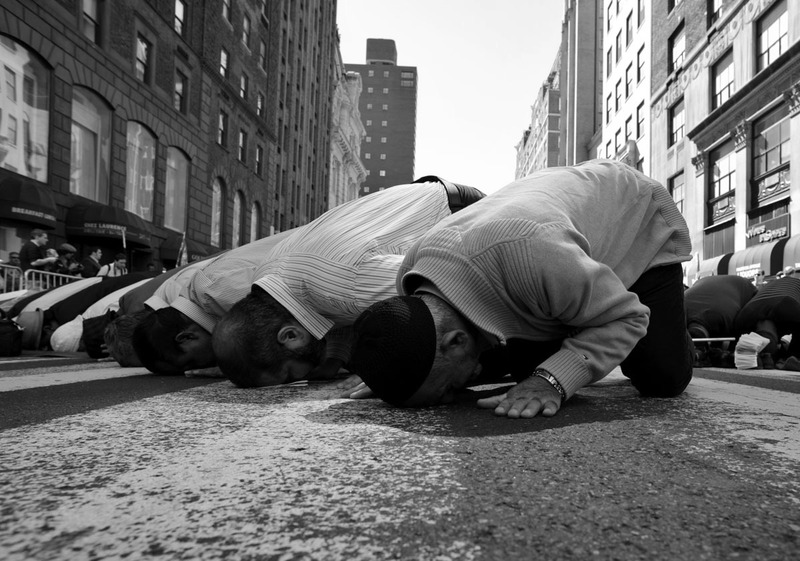 The fact is, we are often unsure of what do to when we encounter a ritual of a faith group we are not a member of. We often don’t know how to act, and sometimes, we want to be respectful and we end up making a mistake any way. There is no shame in asking polite questions, and sometimes that is the only way to ensure we are doing the right thing by others. However, asking questions of the people participating in any of these three rituals while they were doing so might be very rude. So what do we do when we encounter these rites? If you really need to know, wait. Be polite and listen and wait for an obvious break in the ritual, or an individual who is willing to speak. If that isn’t possible, google is your friend, and making assumptions is your enemy. The simple key, like many human interactions, is to try and respect others while they are engaged in their ritual, and to be open-minded to what you are seeing and hearing. If you make a faux-pas, apologize sincerely. Remember, some of the most beautiful moments in life, are unknown to you before you experience them. Josh previously wrote A Heathen's Suggestions for Helping Others Explore Faith for #IFRam2015. Related Post: Do You Believe In Interfaith? Short and strait to the point! You sum up very well what to do when faced by a ritual we never encountered before. Quick question: Is Sumble a ritual specific of a day / season, or ist it something you do to honor the Gods / others whenever needed? Thank you for the excellent question. There are two answers really. Sumble should be held at important occasions, where the mixing of luck between participants is important (if not necessary). For example, weddings, funerals, and times where the reinforcement of oaths between members of a community are important. The second answer, is that most holidays and most events have a Sumble. From my perspective, Sumble should only be joined with those you are truly willing to share hardship with, because the act of Sumble is one that binds the participants together. Some are more casual with the act, but generally all heathens believe that the words said in Sumble are holy, and are placed in what we call the Well of Wyrd, effectively a receptacle that holds all actions forever within it. One must be careful when making an oath in Sumble, you will be held to it. Thanks for your answer. I can relate with the holiness of Sumble and the oath you can make during one of them, because I did and still do take covenants each time I go to the Temple and I know I can be accountable for what I choose to "partake" in (Humility, Charity, Chastity -I'm married, so it's more spiritual chastity and fidelity - Obediance to the Commandements, etc). I understand how someone must be prepared to join a Sumble. I believe that a Sumble is something really important for those participating and I wouldn't dare interrupt one!